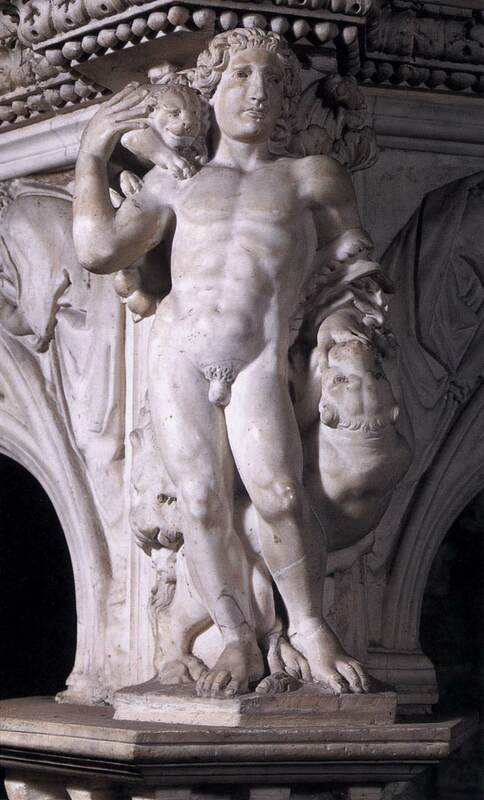 "Nicola…was judged, after no long time, the best sculptor of his day"
Defined the innovator of Italian sculpture, he transformed its traits through a more naturalistic and realistic representation, thus abandoning the Romanesque art typical of the Middle Ages. 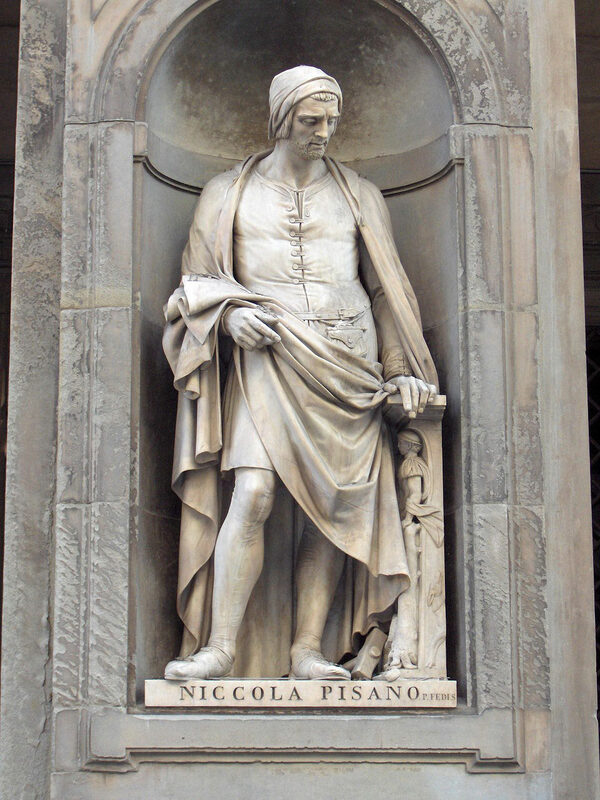 Among the several appellations used to describe him, probably with reference to his homeland, we find “Nichola de Apulia”, while “Pisanus” or “de Pisis” refer to the town where he settled and worked, Pisa. The terminus ante quem for the date of his arrival in Tuscany corresponds to the year of his first works, 1247. Echoes of his double culture can be seen in his pieces that reveal traces of the tradition of Pisa and, at the same time, of the southern school centred round the court of Frederik II. 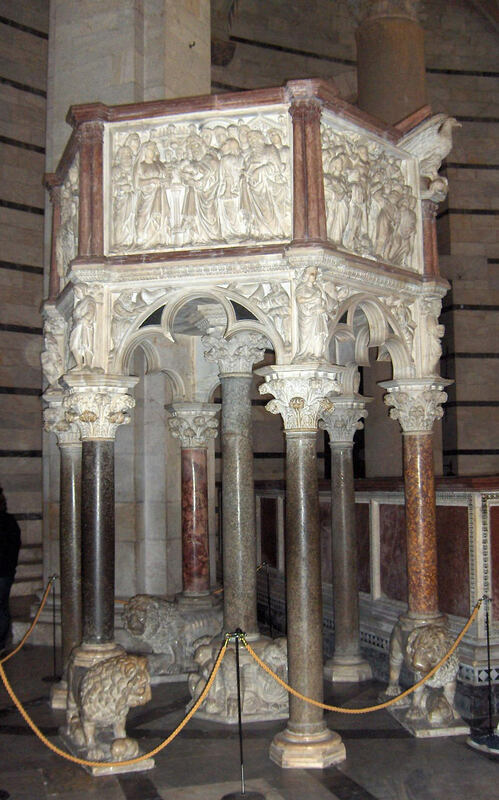 About his works we know that: he built the pulpit for the Baptistery of Pisa in 1259/1260, as master builder of Opera del Duomo in Pisa. The piece, with hexagonal plan and seven columns, perfectly integrates in the period of transition between the Romanesque and the Gothic. It is decorated with allegorical figures belonging to the ancient mythological and religious tradition. 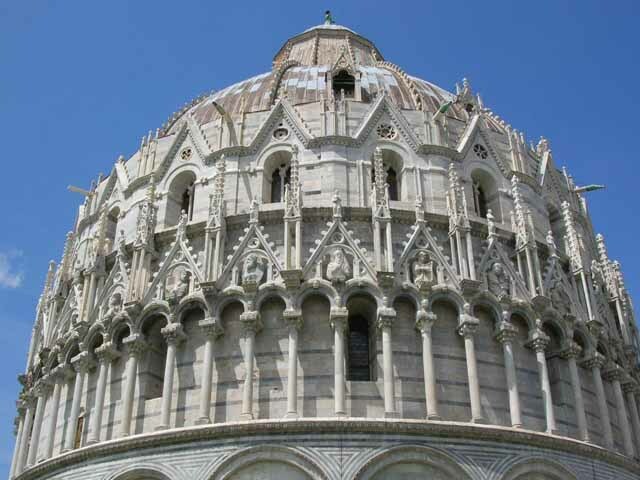 He also made the second order of small loggias on columns for the Baptistery, topped by pinnacles and tabernacles in the Gothic style, and the luxuriant sculptural decoration, for which he also availed himself of the help of his son Giovanni. In 1260, he worked on the left gate of the Duomo in Lucca: he made a Lunette with Deposition and the Annunciation, the Nativity Scene and the Adoration of the Magi in the architrave. 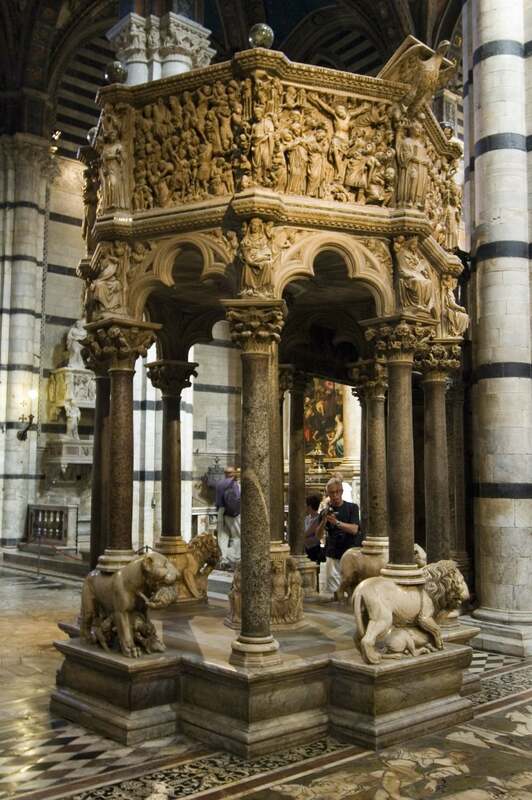 Among the series of pulpits he built, there is also the pulpit for the Duomo in Siena dated 1265/1269. 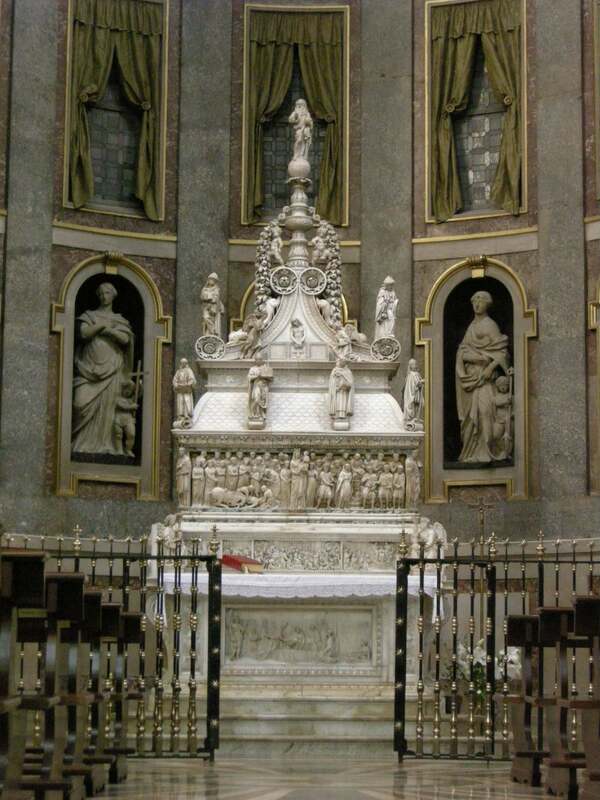 Moreover, he designed the “Arca di San Domenico” for the church of the same name in Bologna in the years 1261/1267; later, in the years 1275/1278, he worked together with his son Giovanni on the Fontana Maggiore in Perugia. 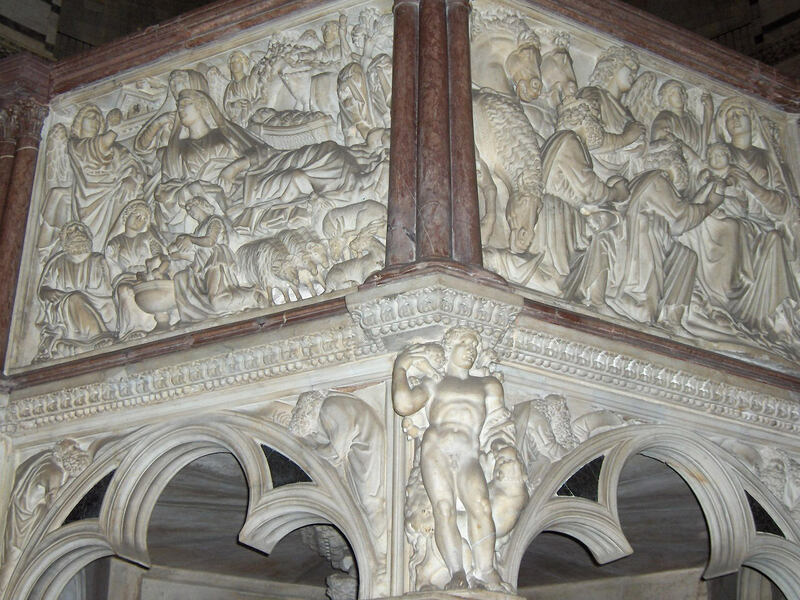 He used Carrara marble for the masterpiece that marked his career and the memory for posterity, the pulpit for the Baptistery of Pisa, on which he sculpted 5 reliefs with scenes of the Nativity, Adoration of the Magi, Presentation in the Temple, Crucifixion and the Last Judgment. In these works, we notice the classical models he studied in the period before Pisa as well as the new stimuli deriving from Gothic art. 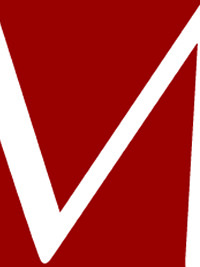 His subsequent pieces, almost always produced in collaboration with his son Giovanni, show a deeper interest in imprinting pathos on narrative, freer and more animated. 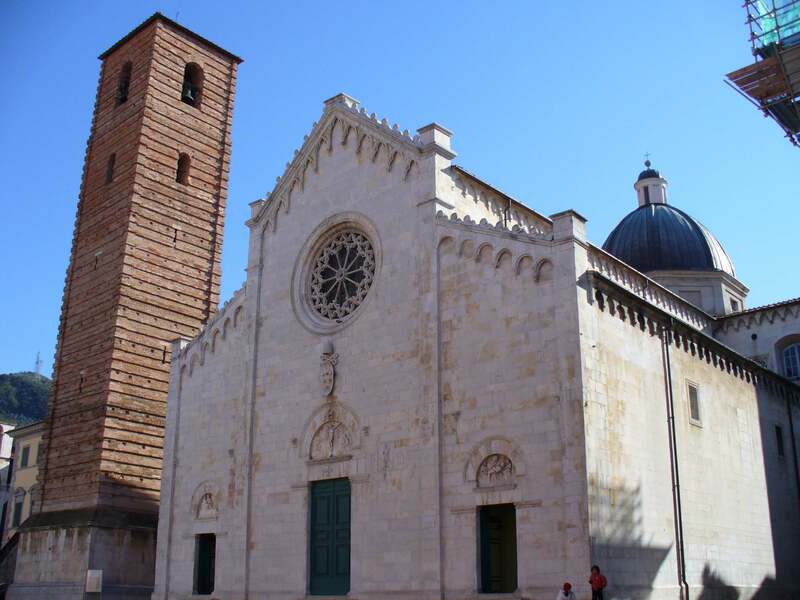 The three lunettes sculpted on the three corresponding gates of the Duomo in Pietrasanta, representing scenes from the Passion of Christ and dating approximately in the 1260s, can be attributed to him or, in any case, to his school. 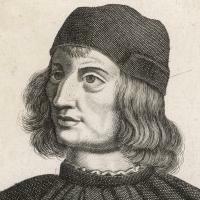 He died, probably in Pisa, in the years between 1278 and 1284.